There are many aspects to playing slots online that many of us more experienced players take for granted. Here we give you our top five things to know before you place your first bet. Whether you’re a beginner to playing casino and their slots or you’ve been playing for a while, it’s always good to get a fresher on how you can make your experience more enjoyable and find out how to pick the right slots to play. Which is what we give you here in this post on SlotSumo.com. One of the miss conceptions about playing slots online is that you’ll need a big budget to gamble for a long time and thoroughly enjoy a nights entertainment. That’s not the case. Even on a modest casino budget of £€$10, you can still enjoy a good thirty minutes to an hour of slots play. Of course, this depends on how you play, how much you bet per spin and what types of slot games you choose. One way to keep on top of your gambling and to play responsibly is to before you start playing, decide how much you’re going to gamble with and stick to it. If you lose all £€$10 then that’s the price you pay for entertainment, if you win big, then don’t gamble your winnings, save them to play another day. Playing slots online should be fun and entertaining. It’s not a way to make money quickly or a valid method of making a living, even though some professional gamblers might disagree. However, one way you can experience the thrills of playing slots without the cost is to free play slots. 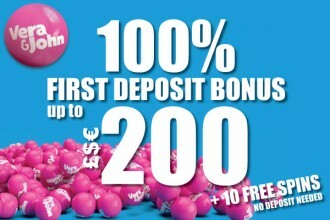 Playing slots for free allows you to enjoy a wide range of games without the need for depositing your real cash. The thrills might not be as high as when playing slots for real money, but they are still there. It gives you the opportunity to try out the latest slot machines with new bonus features, test out different providers and enjoy some free entertainment. You might have to sign up for a free casino account first though (you won’t have to make a deposit) as many UK and European casinos limit free play to those with valid accounts. Video slots, classic slots or fruit machines, whichever types of slots you decide to play there are a few things you’ll need to consider before making that first wager. This ties not only into our first point about your casino budget but also what type of action you’re looking for. Here on SlotSumo, we tend only to review slots that are of medium to high volatility. Which means we play slot games that offer infrequent base game wins, but have the potential for higher rewards. Games like the Girls with Guns Jungle Heat slot by Microgaming, for instance, comes packed with exciting spins with the potential of covering all five reels in wild symbols ending in big prizes. A prospect that many lower variance games like NetEnt’s Starburst lack. But what these low volatility slots lack they make up for in smaller, frequent wins. Keeping these three things in mind can help extend your gameplay and enhance your thrills. And don’t forget if you find a slot you’re not sure about you can always try and free play it before you play the real money slot version. Each slot you play on might come with different base game bonus features, free spins, pick me bonuses and more. But what most slots have in common are the features that let you pick your bet size, number of paylines, whether you can auto play or not. Alongside, this is one key piece of information you’re going to want to take a look at before you place your first wager. The Paytable, it’s where you find out what symbols are on the slot, how much they pay for different combinations along with info about the bonus features and what extra surprises are in store. With your choice of online slots sites to pick from ever expanding, it can sometimes be overwhelming to try and pick a new one to sign up to. Finding the right casino to play at though can make all the difference. That’s why we suggest you do a little research before you sign up. You can read our online casino reviews of some of our favourites and most reputable brands, or head to the casinos yourself and take a look around. Do they have the games you like to play? Do they have the deposit and withdrawal methods you often use? Do they offer any loyalty rewards? Do their casino bonuses come with fair wagering requirements? 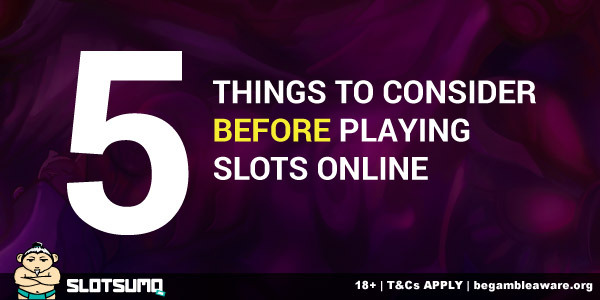 These are just a few key areas to think about when you fancy playing slots at a new casino online.